Need to keep perky during a lengthy gaming session? 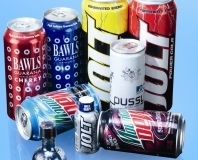 We put ten carbonated, caffeinated energy drinks to the taste test to see which is the best for keeping by your keyboard. Warning: some energy drinks taste like toilets (we're not joking) so read on before ordering a case for your next LAN.